Preschoolers should spend most of their time playing, developing their speaking, listening, imaginations, motor and social skills and so on. 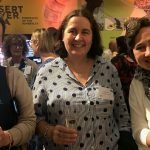 The most important thing adults can do to help them get literacy-ready is read them lots of stories, play with them and have lots of relaxed conversations (avoid barraging them with questions! Anxious parents sometimes do this, and it can make kids clam up). However, many preschoolers are already pestering adults to teach them to read and write. The first thing they need to know is that spoken words are made of sounds, and letters are how we write them. You can help them develop their awareness of sounds in words if you say words slowly and help them to separate out the sounds (first sound is easiest, then last sound, and middle sounds are hardest), or telling them two or three sounds and helping them blend them together into words e.g. “u-p = up”, “d-a-d = dad”, “sh-o-p = shop”. There is a great, free, online Udemy course called “Help your child to read and write” for parents of 4-6 year olds, which follows the Sounds~Write approach I also use in clinic. 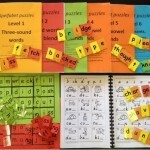 It makes the task of helping kids hear the sounds in words and represent them with letters straightforward and logical. Sign up for it here. 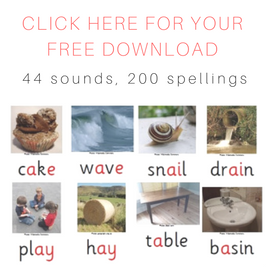 You can download my free First Phonics Picture Book from this website to help you show a young child how written words are made from letters that represent sounds. Each sound is represented by just one spelling, repeated multiple times, and each word is illustrated by a photo. Click here for a blog post explaining more about this book and giving sample pages, or here to go straight to the shop and download it. Children need to learn to hold a pencil correctly and control it, and once they can do that in drawing and colouring they can start practising correct letter formation and writing between lines e.g. by tracing letters you write. If you want handwriting practice books, try the ones from Phonic Books, Get Reading Right or the book Milo’s Birthday Surprise from Little Learners Love Literacy. Bob Books (US, apps available for iPad and Android), and the paper books are here. Dandelion Launchers iBooks, paper books and workbooks are designed for 3-6 year olds. 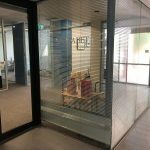 Australian suppliers are here. Dinosaur Letters Lite (free, US and UK accent options, for iPhone or iPad, also for Android, which also has a full, paid version). 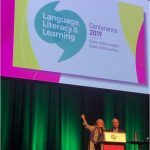 Little Learners Love Literacy (Aus series of decodable books for young children, a video I’ve made about them can be watched here, or watch their much more professional video here). Phonics Hero (UK/Aus computer game and iPad/iPhone app, with a free, 7-day trial period. Please note that this link is an affiliate link, meaning that if you follow it and subscribe, I will get a small commission. I was highly recommending Phonics Hero for over two years before the affiliate link was offered, so decided it was OK to accept). PLD Spellstar 1a (Aus, for iPad, iPhone, Android and Chrome). I enjoy your site and recommend it to fellow homeschoolers. 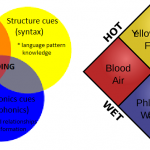 I just wanted to let you know about three other phonics resources that are popular with Australian homeschoolers – I used two of the phonics programmes extensively during my homeschooling and tutoring years. Abeka Phonics programme for Christian schools (distributed in Australia by LEM). Thanks for the lovely feedback, Lindy, and for recommending my site to others, I really appreciate it. 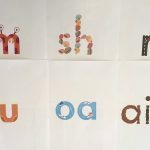 I already have LEM Phonics on my lists of phonics resources in a couple of places, and I purchased a few of their resources but then didn’t use them as I found some errors in them (perhaps these have now been fixed, I should find them again and email the company to point them out). I didn’t know about the other two sites but I haven’t made a big effort to include all the programs written for American English on this website because I wouldn’t buy any of them for use in Australia, the accent is too different and most materials require too much modification to be useful here. The Reading League is doing a great job of promoting things that are relevant to their accent in the US, so I’m keeping my focus on my own accent, as it’s very easy for Aussies to spend a lot of money on things that aren’t really suitable if they aren’t aware of how different vowels are in different accents. Hope you’ve had a wonderful Christmas and are looking forward to a great 2019. All the very best, Alison.